Traditional white diamonds are well-loved because of their beauty, but colored diamonds, also known as fancy diamonds, are quickly becoming more popular with women everywhere. Enhanced stones that blaze boldly with beautiful color are more unique and stand out more than classic diamonds. 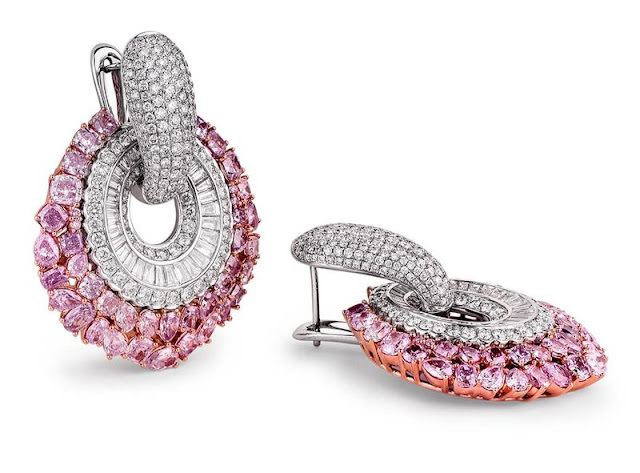 Pink diamonds are just one of the many stones that are growing in popularity. 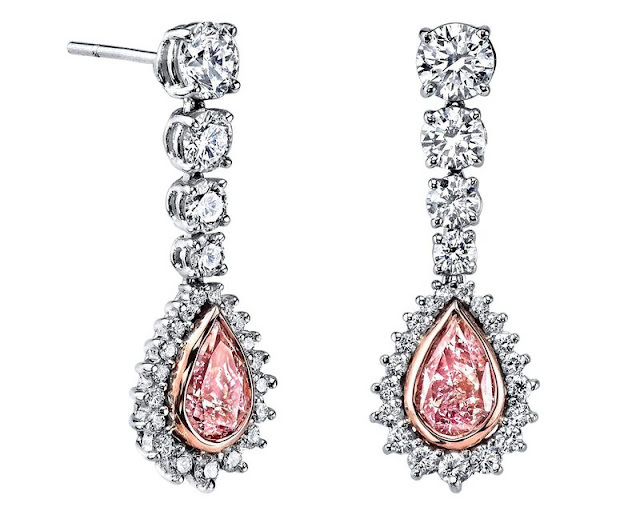 When choosing pink diamond earrings, there are a few key things to keep in mind in order to make the smartest purchase. 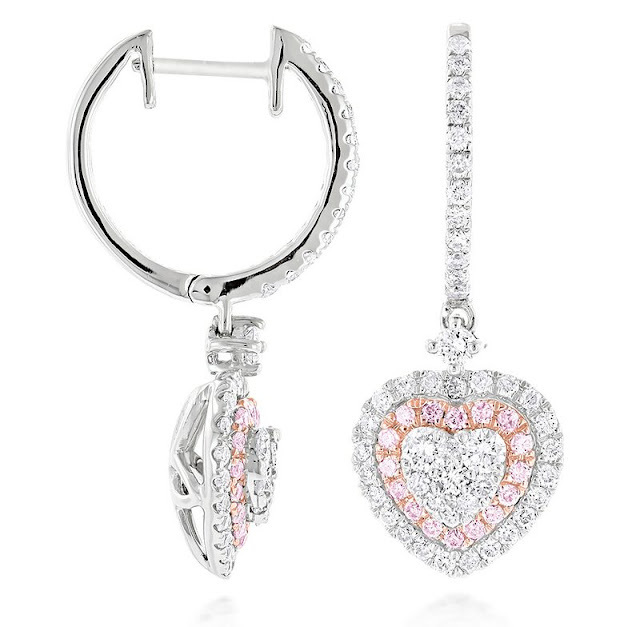 Pink diamonds come in a variety of different hues from pale rose to hot pink. 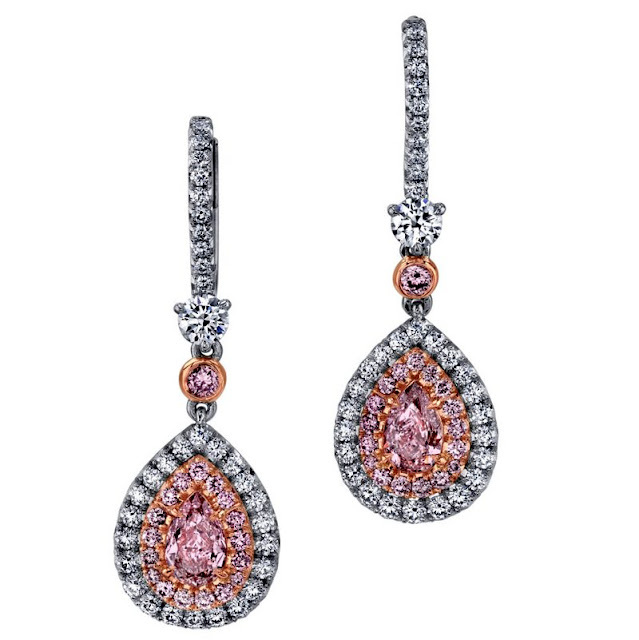 Pale pink diamond earrings are great for a more subtle look, while bolder, darker colors stand out more. Many pink diamonds have been enhanced, so the color is more beautiful and longer lasting, and the stone itself is clearer. Like classic diamonds, pink diamonds are also rated on a clarity scale. This scale is used to indicate any flaws that are found in the diamond. The higher on the scale a pink diamond is rated, the more rare and expensive it will be. Often, budget comes into play when deciding what clarity to choose. Those who have no set budget may want to purchase the highest possible quality, while those on a budget can enjoy pink diamonds that have visible flaws. 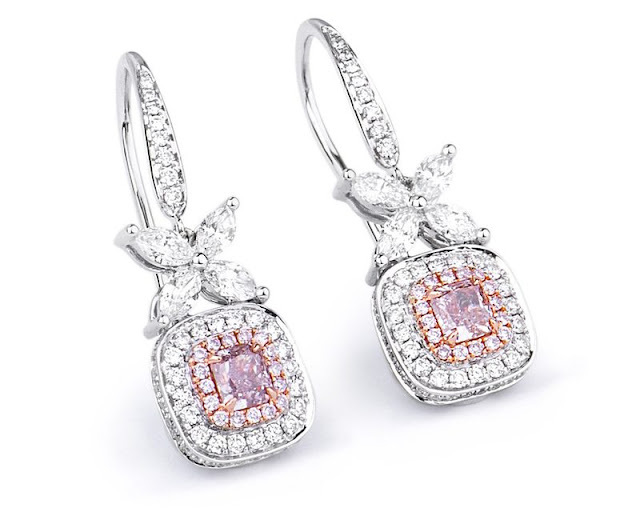 When choosing pink diamond earrings, there are a variety of settings to choose from. Many of the most popular types of earrings are beautiful studs that hug the ears, although dangling chandelier earrings displaying one or more diamonds are also available. Settings are available in sterling silver, gold, platinum, and stainless steel. 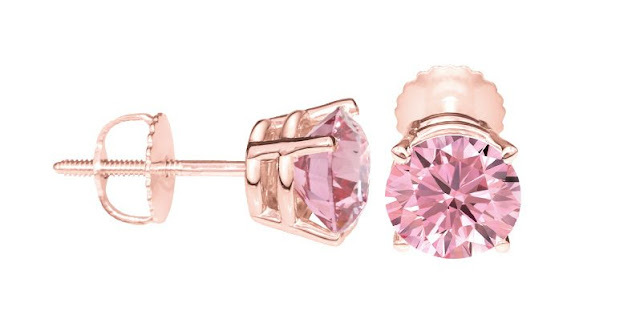 Pink diamond earring studs may feature a number of prongs ranging from three and up. The more prongs an earring has, the more secure the stone will be. Some settings feature posts with traditional butterfly backs, while others have screw backs for added security. Pink diamond earrings come in many different sizes, ranging from a fraction of a carat to a full carat or even multiple carats. The size of the diamond, combined with the clarity, determine the price. A larger pink diamond is typically more expensive than a smaller diamond, although small diamonds that are rated high on the clarity scale will cost more than larger, lower quality diamonds. All of these factors that make each pair of diamond earrings different helps determine the overall price. Before purchasing pink diamond earrings, it's important to set a budget, then research different diamonds to see which pair is the best investment. With higher budgets, choosing clear, beautiful stones is more important than choosing a larger size, as inferior stones that are much larger show very obvious flaws. Smaller stones that are clear have more shine and beauty. For those with smaller budgets, choosing a smaller pair or one that contains visible flaws in an option. Enhanced diamonds are also less expensive than natural pink diamonds, so these stones are an ideal choice for anyone on a budget. It's important to remember that all fancy diamonds are extremely rare, so in many cases, these colored stones may be even more expensive than traditional white diamonds.